Major League Baseball told ABC News today it is exploring business opportunities in Cuba. Today, ABC News learned Major League Baseball is in talks with federal agencies to determine how the policy change impacts professional baseball. Specifically, baseball wants to figure out how the new regulations and rules apply to baseball as a business, a spokesman with Major League Baseball told ABC News. ABC’s sister network, ESPN, reported earlier this week that the Boston Red Sox were exploring an exhibition game in Cuba in the spring, but that it probably wouldn’t happen that soon. Besides the Red Sox, there have been inquiries from teams including the Baltimore Orioles and Washington Nationals, sources in Cuba told ABC News. Although rumors of “diamond diplomacy” have surfaced recently, officials must figure out how recent rule changes apply to Major League Baseball before any type of game could be discussed, as the league couldn’t even send equipment to Cuba under the old rules, a spokesman for MLB said today. The league is not aware of any teams setting an exhibition match, as they’d have to get permission first. MLB has an historic and strong connection with Cuba. Before the revolution, the Dodgers, Pirates and Giants all hosted spring training on the island. 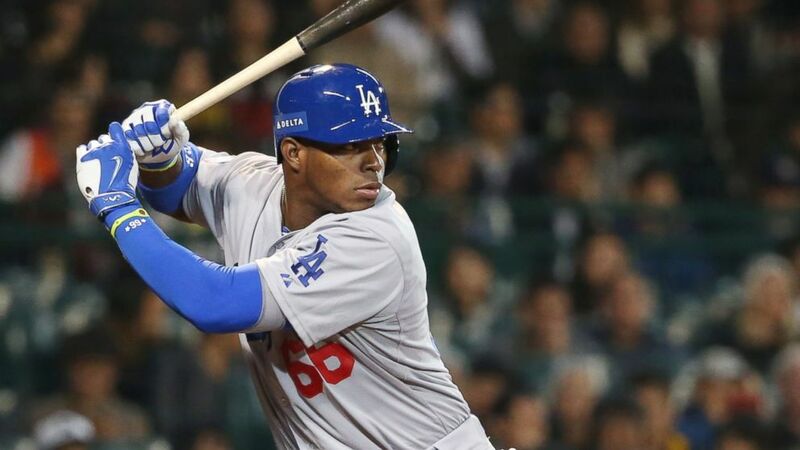 Many Cubans have played Major League Baseball, including Jose Canseco in the ’80s, and current players such as Yasiel Puig of the Los Angeles Dodgers and Aroldis Chapman of the Cincinnati Reds. Many of the current players defected from Cuba to play in the major leagues.